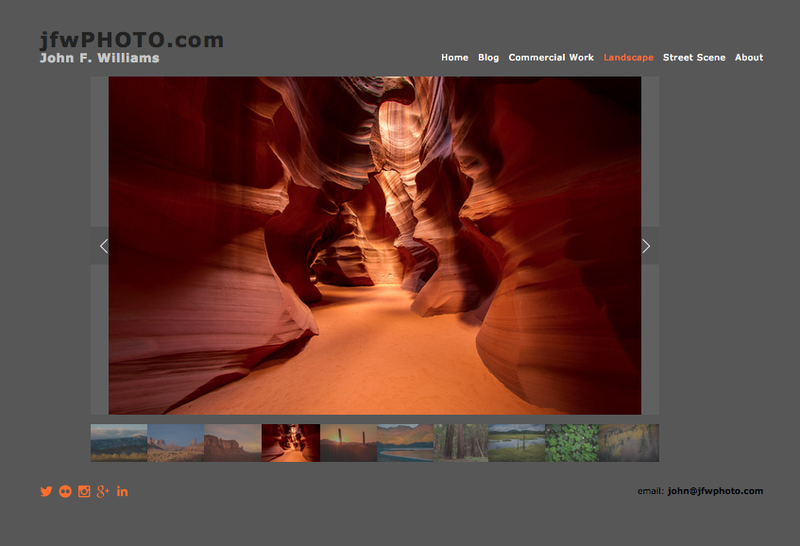 Homepage of jfwphoto.com using the Squarespace Ishimoto template. 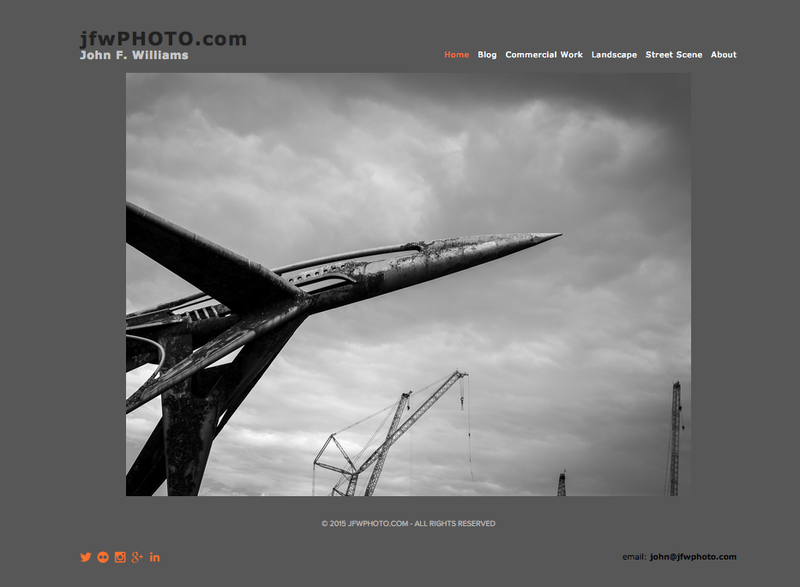 It's taken much longer than it should have, but I relaunched jfwphoto.com using Squarespace and finally have everything in one place*. I've been thinking about this for years and now that the new jfwphoto.com has been public for several weeks and I've had the chance to work and refine it, I'm glad that I did this and question myself as to why I waited so long. In a subsequent blog post, I'll go into the details on why I choose Squarespace and offer some insight into the process along with my experiences in building the website, but for now, I hope you take some time to view my site, offer some feedback, and most importantly, ask questions. Landscape gallery page using slideshow with Show Thumbnails and Show Next and Previous Controls selected. I'm still trying out various gallery styles. If you are thinking about using Squarespace, they offer a full week 14-day free trial with no credit card required. I would also recommend you watch a few of the tutorials. * Everything except this blog. Also, I currently have a redirect on the domain jfwphoto.com through GoDaddy. Both of these will change.